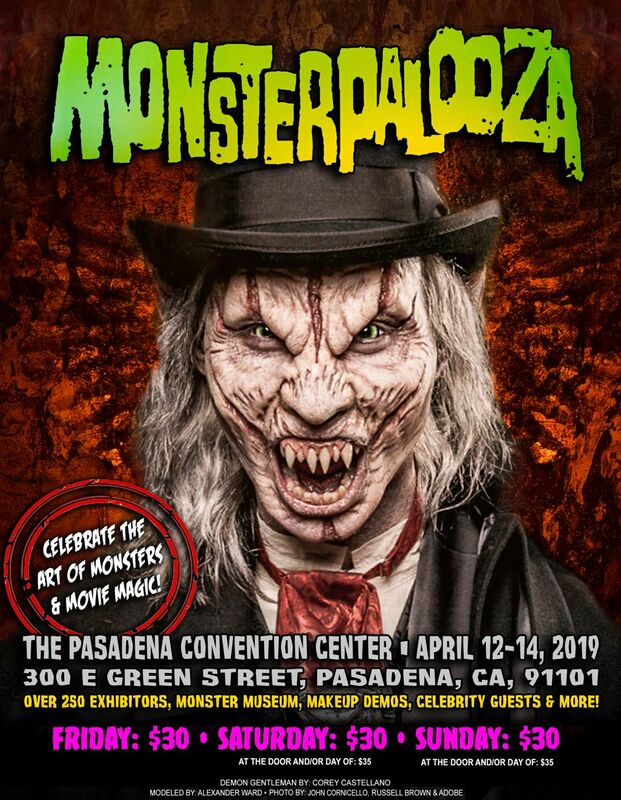 Celebrate the Art of Monsters and Movie Magic with MONSTERPALOOZA this April 12-14, 2019 as it STOMPS into all 100,000 sq. ft. of The Pasadena Convention Center for the 11th ANNIVERSARY SHOW! Meet the award winning masterminds behind some of the greatest creatures ever created for feature films, television and the haunt industry as you get lost in the over 250 exhibitors selling one of a kind creations, LIVE makeup demonstrations and more only found at Monsterpalooza!